SAP has triggered a backlash over increasing the cost of software support for its customers by nearly 30%. The UK & Ireland SAP Users Group condemned the change in the business software company's maintenance contracts. Alan Bowling, chairman of the group, said: "The increase in cost has received hugely negative feedback from our membership to date." All SAP customers will be transferred to the company's recently released, more expensive service, "enterprise support", from 2009. 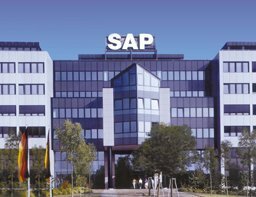 SAP announced the move on July 16. This offering replaces "standard" and "premium support" currently included in SAP licensing and maintenance contracts. A customer currently paying 17% of licence fees through standard support in 2008 will pay a rate of 18.3% for enterprise support in 2009. The fees will then gradually rise to 22% in 2012. Bowling said: "The enterprise support product includes additional support activities not currently included in the standard support product, and based on case studies appears to offer great value potential, but is yet to be fully proven. "Included in the announcement, however, is an indication that pricing will increase from 17% of contract value to 22% of contract value, immediately applicable to new customers and introduced in a phased way for existing customers." "In real terms, this is a 29.4% increase in costs over the next four years for existing SAP customers, and is proving to be a particularly difficult area to accept." "The enterprise support product looks good, and for organisations needing the extra level of support that it offers it will no doubt provide value." "However, many of our members may not want or need this extra level of support and therefore are reacting negatively to having a new support product and the associated increase in costs forced upon them. "In addition, along with the German speaking user group, we are sceptical that the enterprise support offering is sized appropriately, and we remain concerned on its suitability for many small and medium-sized enterprises." No one from SAP was available for comment in time for publication, but the German-based company described enterprise support, at the time of its announcement earlier this month, as "the next generation of support offerings". It said: "With SAP enterprise support, customers are provided an unrivalled comprehensive support offering at a cost that is below the average of maintenance fees found elsewhere."